Hunters Hole is a small, distinctively shaped tarn which looks like a watery exclamation point complete with vertical slash and full stop. The tarn is situated on Middle Tongue, to the east of Yockenthwaite Moor at an altitude of over 620m above sea level. 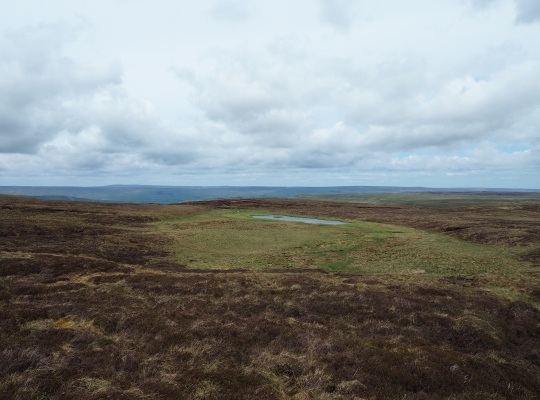 It is in a grassy hollow surrounded by peaty heather, the greener vegetation surrounding the tarn perhaps an indication that it was once much larger in extent than it is today. Yockenthwaite Moor has the reputation for being one of the boggiest places in the Yorkshire Dales and with a lack of paths crossing the top it is not surprising Hunters Hole receives few visitors. The ‘easiest’ approach to Hunters Hole is from the Gilbert Lane track, over a mile to the east. 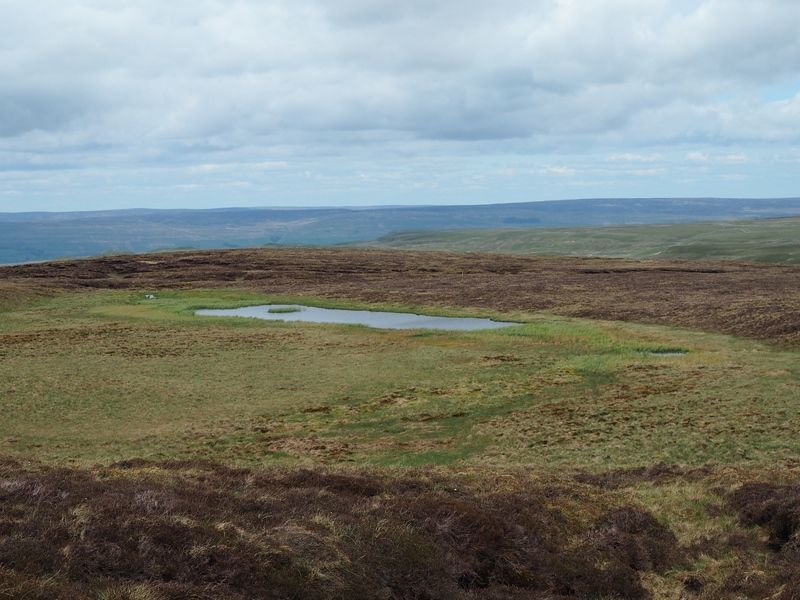 I visited the tarn in 2015 on a long walk with a couple of friends from Marsett over Woldside and Yockenthwaite Moor and was the fifth of seven tarns that we passed during the course of the walk.